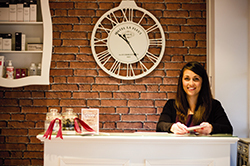 A very popular village beauty salon is looking for a professional, hard working team player. 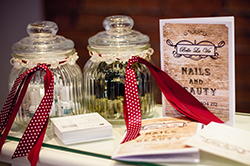 A friendly team in a busy beauty salon is looking for the right candidate join the team. The salon offers a wide range of beauty treatments such as CND Shellac, Acrylic and gel nail extensions, LVL lashes, intimate waxing, massage, St Tropez tanning, Crystal Clear Microdermabrasion, Skin needling and much more. An experienced/ senior therapist is required for this role. Extra qualifications such as; intimate waxing (warm/hot wax), threading, acrylic/gel nails and eyelash extensions would be beneficial. A competitive hourly rate of pay will be offered depending upon experience, plus an excellent commission scheme. An option for salaried or self employed role instead of hourly rate pay would be considered for the right candidate. Please email your C.V. including reference information. For more information please call Ashton on 01344 304 272.